Learn how to change the way text appears on a website, and learn how to use the most extensive and powerful free font database in the world! 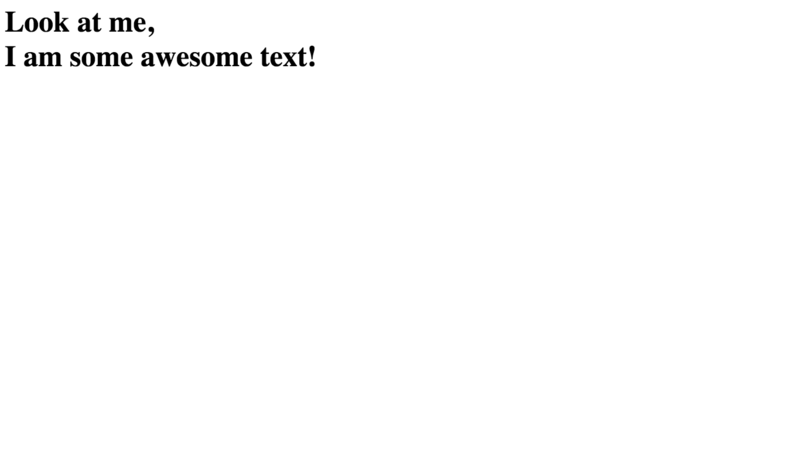 Today I’m going to be talking about text-related CSS properties, as well as how to spice up your website with this nifty thing called Google Fonts. I recommend following along in all of my tutorials, as it really helps you get a better grasp on the subject. If you want to follow along through this tutorial, here’s how to get started. 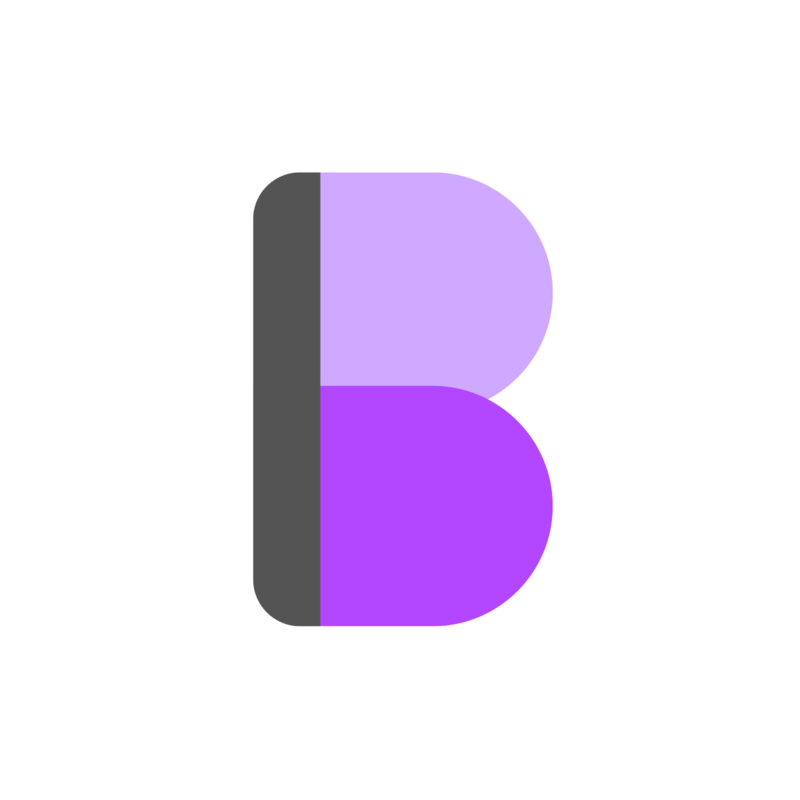 First, create a new project folder with blank index.html and style.css files inside. You may already know about font-size because it is a very common property, but I’ll go through it anyway (you can skip if you want). 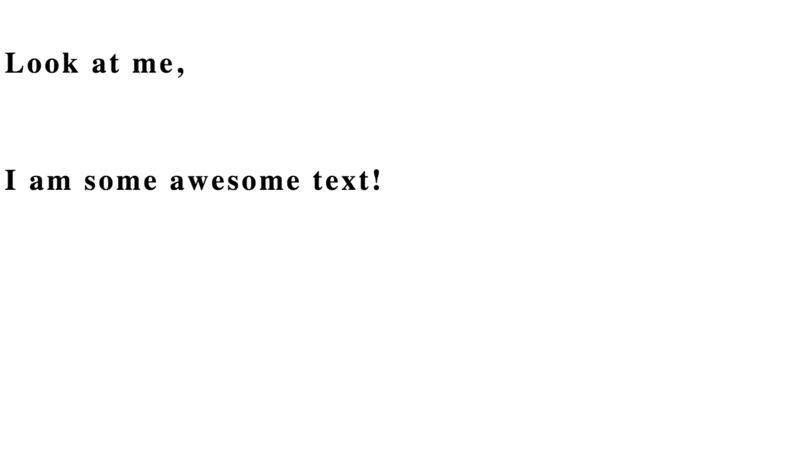 font-size is quite straight-forward, it determines the size of the text. It accepts a value in any CSS unit. Let’s try it out! The numbers go from 100 being the thinnest to 900 being the thickest. 400 is equivalent to normal and 700 is equivalent to bold. Note that the numbers do not have a unit after them. What?! Nothing happened! This is because not all fonts come with all weights. This is because the designer of the font needs to design each weight of the font individually, and lots of font designers will not end up designing up to 9 versions of the same font. 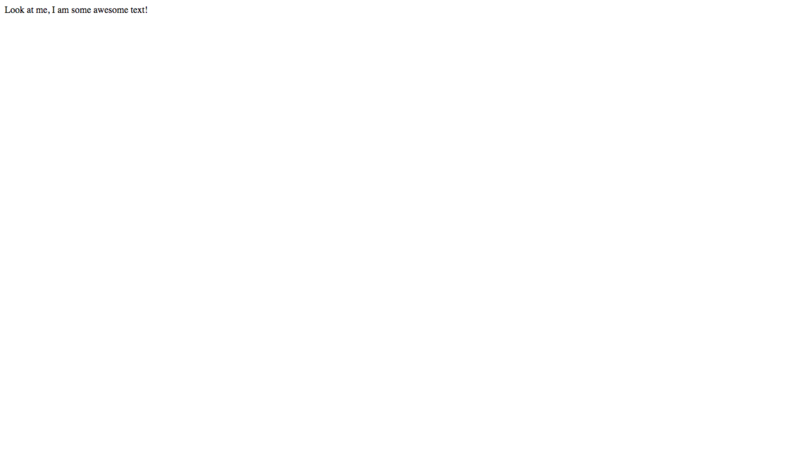 In this case, the designer of this font has not made a lighter version - so the browser just shows the closest equivalent which is normal. 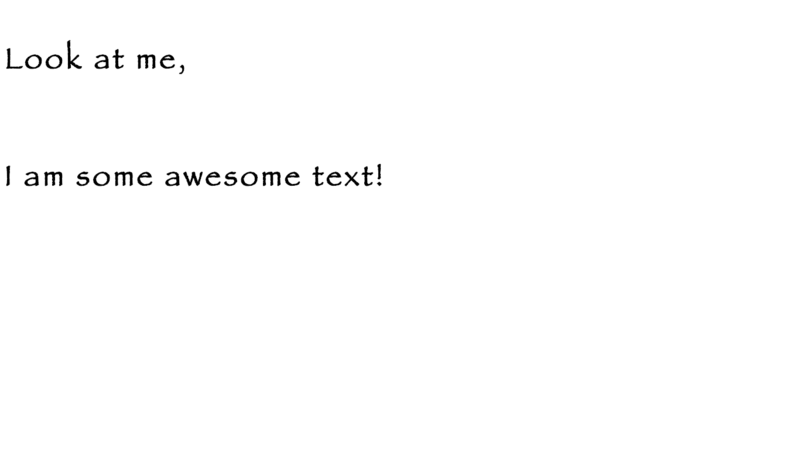 In my next article, I’ll go into the behind-the-scenes of how the different font weight files are actually specified. line-height basically controls how high each line of text is. 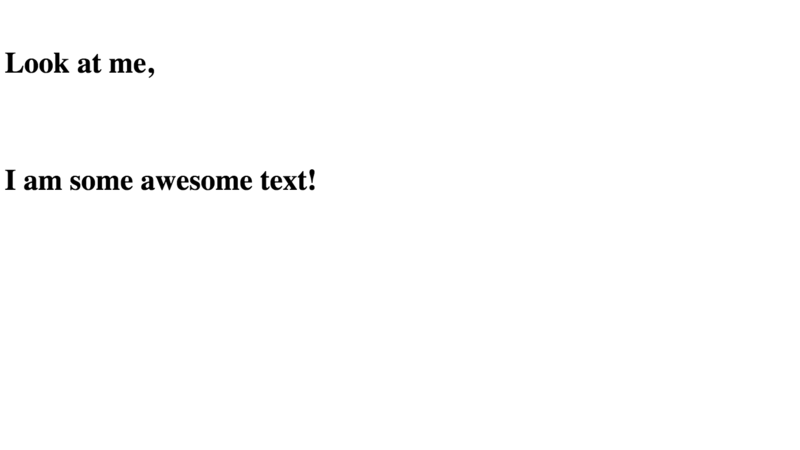 The larger the line-height, the more vertical space between the text. 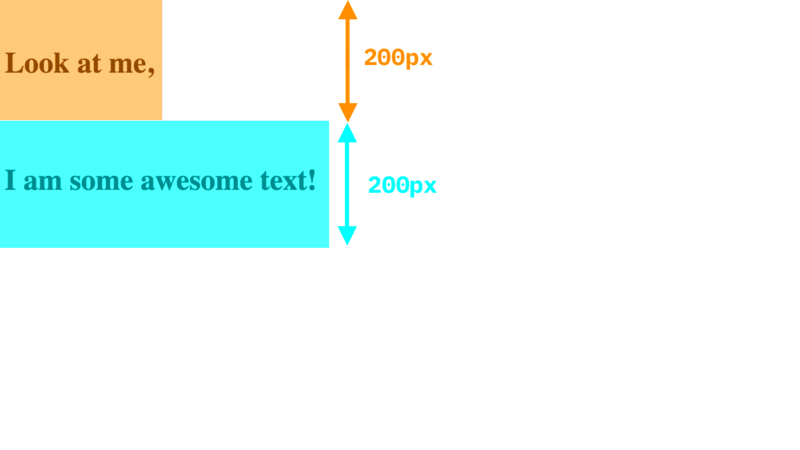 Like font-size, line-height accepts a value in any CSS unit. Let’s try it out! As you can see, there is now much more space between the lines of text. line-height works well when using em units because it means you can set the line-height relative to the font-size. 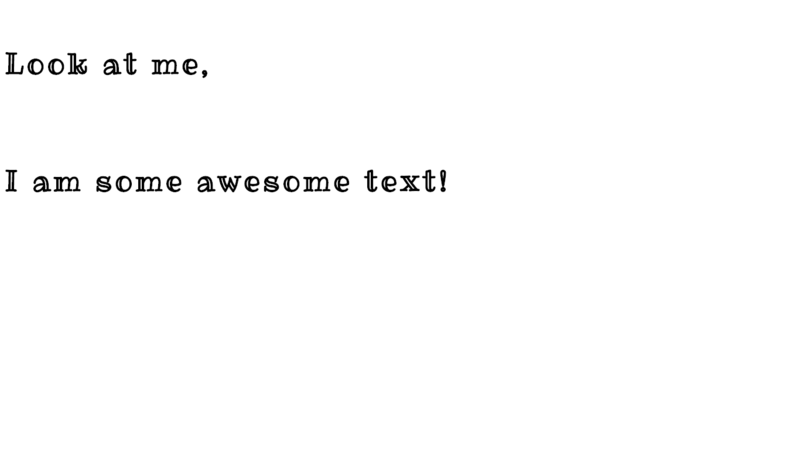 For example, line-height: 2em would make the line-height double the size of the text. letter-spacing determines the amount of space in between each letter and takes a value in any CSS unit. Let’s jump right in and try it out! As you can see, the letters are much more spread out. This example looks kind of ridiculously spread out to make the letter-spacing clear, but often it is good for minor adjustments (similar thing goes for line-height). Note that the default fonts might be different on different computers or browsers because it is what the browser deems to be the default font for that category. Generally, the fonts will look similar though. 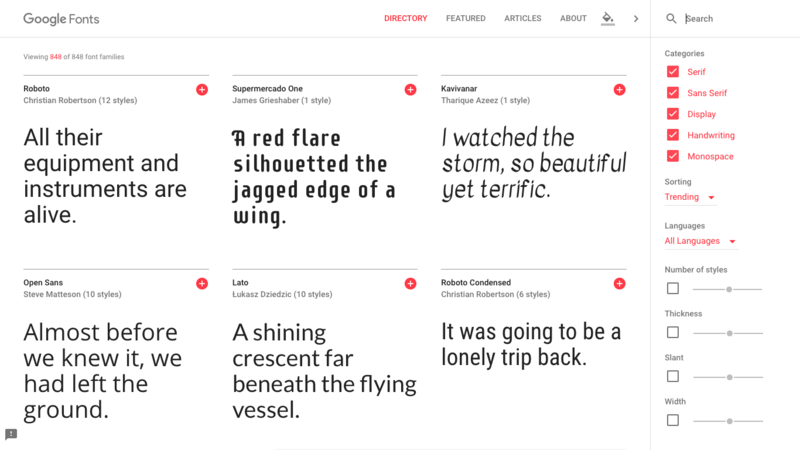 Google Fonts is a library filled with thousands of awesome (and free 😋 ) fonts. Talking of free: Always be careful when using a font online, sometimes the license doesn’t allow it to be used online or for commercial use, or you may have to buy a license. 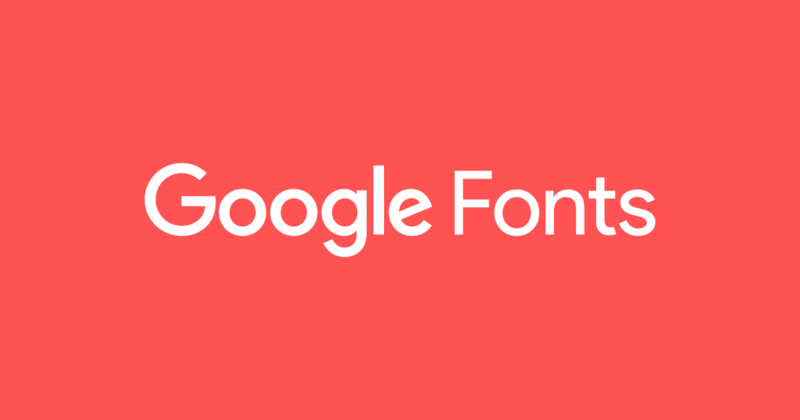 Luckily all the fonts on Google Fonts are completely free, so you don’t have to worry! 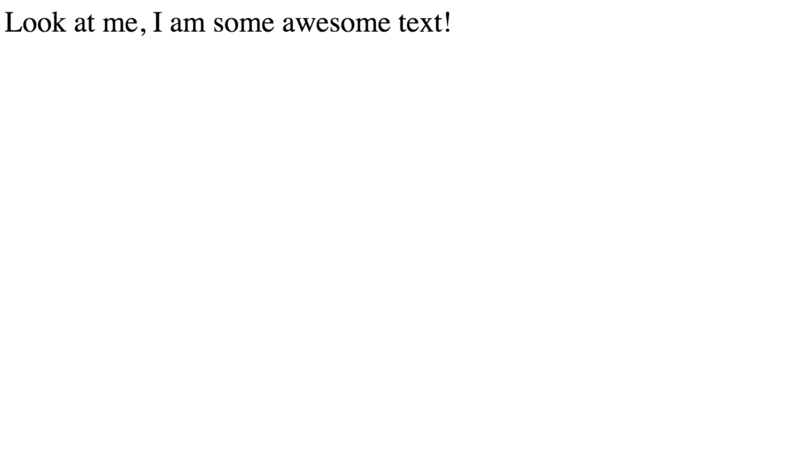 The good thing about using a font from Google Fonts is that they host and create a font stylesheet for you. This means that all you need to do is link to one of their files and the font will work for everyone - even if the user doesn’t have it installed on their computer. 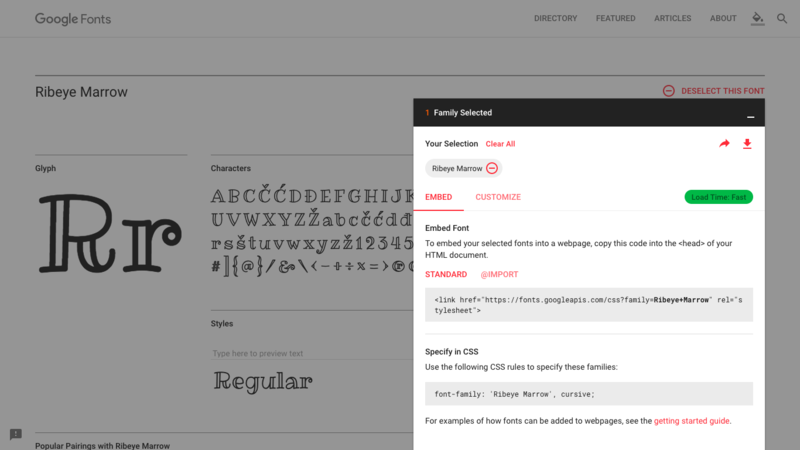 Let’s add a font from Google Fonts to our website! 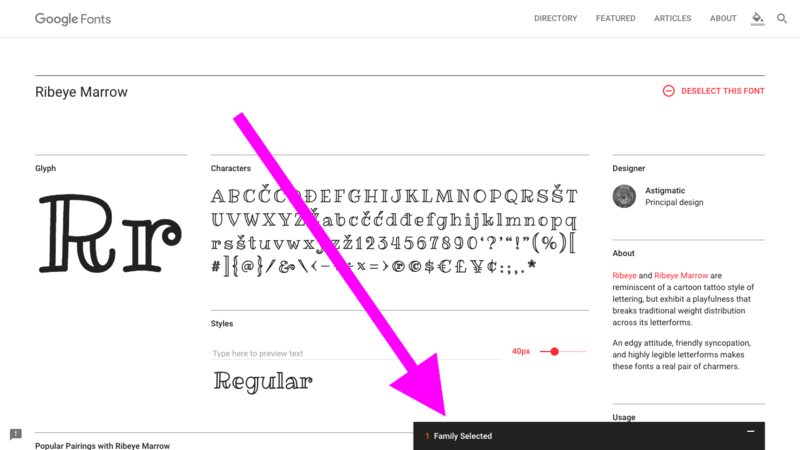 There is also a search box and many advanced filters to find your favorite font - you can even filter by things such as thickness or width! In this case, I have chosen the font Ribeye Marrow. You can either follow along with me using that font or pick your own. First of all, we will need to link to the font so that the browser knows where to find the files. There are two ways to do this: using HTML (standard) or CSS (@import). 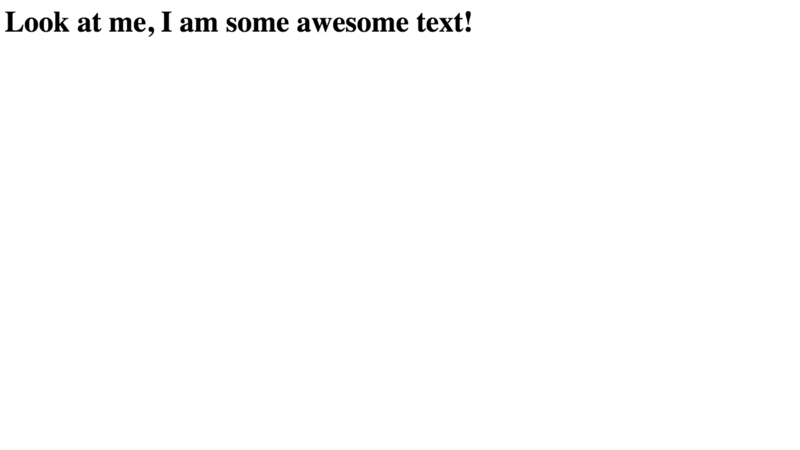 Personally, I prefer CSS as the font is part of the styling of the page so it makes sense to put it together. 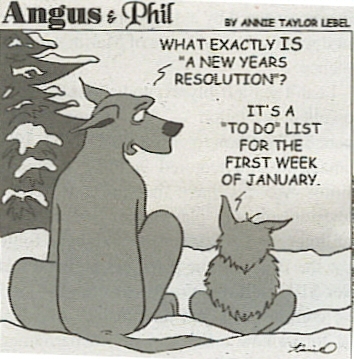 Now, we need to paste it into our CSS code - but where? @import statements must always be outside of the curly brackets, but it really doesn’t matter where in the document - as long as it is above the place where the font is used (the font-family property). As a general rule, I like to put Google Font imports at the top of CSS files so that the rest of the CSS file has access to it. I’ll explain more about CSS @imports in another article. Reload the page - you will see that nothing has changed! 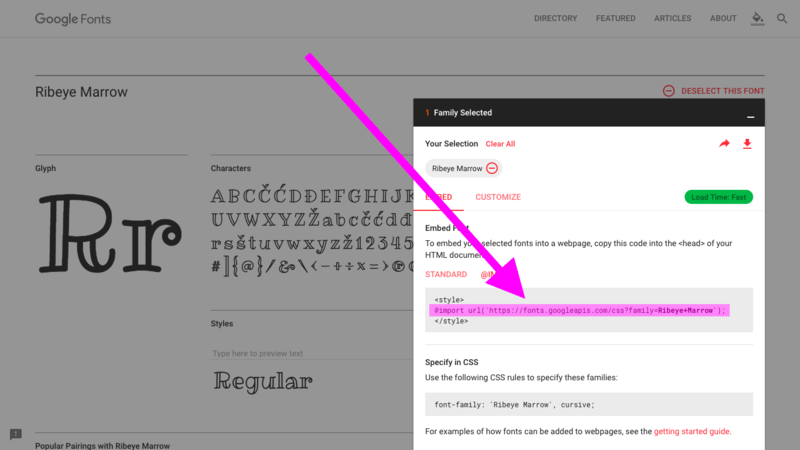 This is because we still need to declare the font using font-family. The reason for using the @import line is so that the font will work even if it is not installed on the user’s computer. Remember to include quotation marks if the name has a space! Now our text is in the font Ribeye Marrow! Woo! That’s it for today! Hopefully, this article was useful and helped you along your coding journey. As always, if there was anything that you didn’t get or if you have any feedback, tell me in the comments. Also, these articles don’t come out of thin air! Looking at my Pomodoro Timer, so far I’ve spent 3 hours and 20 minutes on this article, and have just passed to 40,000 word mark on this blog! While your nice comments and knowing that I am helping you all make it worthwhile, I’d really appreciate it if you shared this or this blog with your friends or signed up to the newsletter to get the latest articles in your inbox.